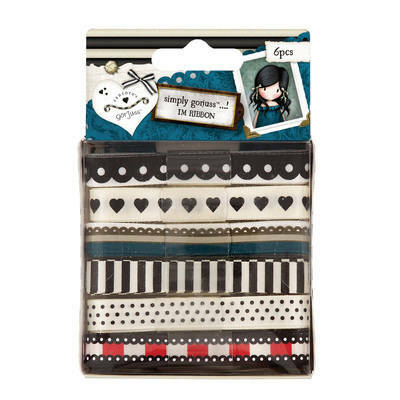 New for 2013...This Gorjuss™ Ribbon is a craft stash must have. Contains 3 reels of 1m ribbon in 6 different designs. Fully co-ordinates with the rest of the Gorjuss™ range. Truly Gorjuss™!